You want to be able to smile again, but you don’t have enough time for the insertion of dental implants? Or do you want to save even more money? Thanks to the IHDE immediate dental implants technology from Switzerland, you can obtain your temporary dental implant on the very first day of your treatment. And on the fourth you can get your immediate dental implant. 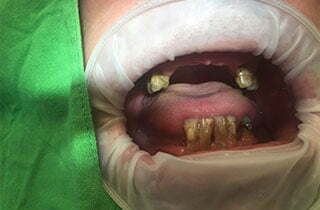 Is is possible even for patients suffering of dental bone loss. IHDE immediate dental implants are cheaper than traditional dental implants. It is because the treatment requires less time, less materials and fewer additional factors. The IHDE immediate dental implants require only the smallest surgical intervention. In most cases the dentist can do it without opening up the gum. For the intervention the patient can get local anesthesia or general anesthetics. This way the do not feel or realize anything during the treatment. On the first day in the framework of the first treatment phase after having discussed an appointed time, the dentist assesses the dental condition of the patient. I necessary, the dentist extracts tooth/teeth. 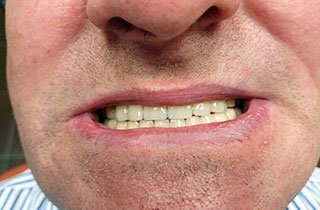 This step occurs also in the framework of the first treatment phase and we consult about the possible dental prosthesis more in detail. After the first treatment the dentist inserts your temporary dental prosthesis. You can leave after you first treatment smiling and feeling comfortable. …………..in the following days the dental laboratory prepares the permanent dental prosthesis for you. On the fourth day, the second part of the treatment takes place. Depending on your decision the dentist inserts the permanent immediate implants. Dental specialists recommend IHDE immediate dental implants for severe cases where traditional dental implants cannot be an adequate solution. This can mean patients who are smokers and patients with diabetes. Immediate dental implants are a good solution in case of complete loss of teeth. They can be used even for patients with periodontitis (which occurs as a consequence of a longer period of time with the loss of teeth, or an inflammation). This is a treatment without bleeding or pain. Instead of opening the gum, the dentist drills through it to create small holes in the bone. The patient is under anaesthetics during the treatment. After the treatment patients usually do not need further local anaesthetics needed to take home for aftercare. Since only small holes are drilled into the gum through which patients don’t have to face a 3 to 6 months healing phase. Please can you tell me how much the IHDE treatment would cost.